Let’s be honest for a moment, the order in which the Capitular degrees are conferred do not relate to each other. In fact, they’re a mismatch of four degrees that have nothing in common. Yes, I know that’s shocking... well, unless of course you’ve seen all four degrees. In the original formation of the Royal Arch, the degree was closely tied to the Master Mason degree. Currently, in the United States and many other Chapters in the world, the Royal Arch is conferred as the last of seven degrees, three related (the first three Craft degrees) and three unrelated degrees (the Mark Master, Past Master, and Most Excellent Master) making for a very strange story told to the candidate. I propose something that should be done in the interest of saving the Royal Arch from the slow death that it’s crawling towards; I propose that we have Royal Arch Chapters confer only one degree, the degree for which Chapters were initially created. Dropping the so-called preparatory degrees of the Chapter, which are, in actuality, not preparatory in anyway to the Royal Arch, will allow Chapters to focus on what's important. The Royal Arch is a degree built and designed in many different parts. It’s complex. The staging requires many players who guide the candidate into the realm of further light. And, in my life, it holds a very special place in my heart. In my opinion, more education can be taken from the Royal Arch degree than in almost any other degree. The reason I started thinking about this is that I see Chapter suffering. Chapter is not built in the same way as a Lodge, a Council, a Commandery, or a Valley. Lodge, Council, and Commandery degrees all have a story to tell that flows. Valleys have 29 degrees that can be conferred and can confer many if not all of them because they draw from a large population. Chapters have some major disadvantages. Chapters meet in lodge buildings. Chapters have smaller populations, like lodges, but with more required degrees. Chapter degrees are a hodge-podge and it’s hard to completely grasp the connection. It needs help to survive. I have three solutions to this problem (and yes, I believe the Chapter structure is a problem). 1.) Drop the PM degree, transfer the Mark Degrees to a separate organization that remains under the control of the Grand Chapter and make the Most Excellent Degree an optional degree like the Super Excellent. This is how I would envision this structure: the Chapter would confer one degree, the Royal Arch. The chapter would confer it in grand style because the focus would be on making that one degree great. Anyone who has seen the Royal Arch realizes its importance in the Craft structure. It needs to remain close to the degree it is built to follow, the Master Mason degree. It is an important sequel, like The Godfather: Part II not Garfield: A Tale of Two Kitties, and we should deliver it in that way. Furthermore, the Chapter would be given the option of conferring the Most Excellent should it choose to do so. This change would be similar to how the Super Excellent Master is conferred in a Cryptic Council. The Most Excellent Master needs at least 20 people to make it an effective degree and by making it an optional degree, the hope would be that it would be conferred in grand style. The Most Excellent Master degree deserves better care and attention than that which most Chapters can properly provide. It's a shame that such a beautiful degree is often conferred without costumes, music, and any sense of reverential awe. It deserves more and the only way to do that is to make it an optional degree. The Mark Master degree would be assigned to a Grand Lodge of Marks, still under the auspices of the Grand Chapter, but with its own Craft structure. In that way, there would be one Mark Lodge in each of the districts or areas of a Grand Chapter’s jurisdiction. The Grand Lodge of Marks would serve the Chapters in the jurisdiction and would confer the Mark degree at set times each year. What's more, this would give more potential Grand Chapter officers a chance to show how well they can run a Grand Masonic Body. We complain about the lack of interest and the lack of jobs; this would allow us to create more of both. The Mark Master degree is a special degree with a very different history from the Royal Arch degree. We should give this degree its due. This is my preferred structure. 2.) Reverse the order of the degrees and drop the PM degree. By reversing the order, the Royal Arch degree is placed precisely where it belongs in the story, right next the Master Mason degree. The Most Excellent degree be conferred next and the Mark would be placed last. The importance of the Royal Arch degree would be given proper credence would truly serve as a transition from the Blue Lodge to the Red Chapter. If you know anything about the Veils, you will see the importance in placing the Royal Arch next to the Master Mason degree. This method, while not ideal, does serve to give the Royal Arch Mason all the degrees he would need to travel to other Chapters in the country and maintain the close relationship between the Master Mason and the Royal Arch. Again, this is not an ideal solution but could be the easiest to implement. 3.) Transfer the power to confer the Royal Arch and Mark degrees to the Craft lodges. This has only been done on a local basis and only in one state, Lodge Copernicus in the state of South Australia. This would require a lot of coordination and a lot of Masons having to give up power. I don’t see it happening but I do think that this method would not just encourage but guarantee that all Masons would become Royal Arch Masons. Of course, instead of transferring, one other related approach, which is what Lodge Copernicus has in actuality done, is to receive a charter from the three degree-controlling bodies to establish a lodge that confers all the degrees of Ancient Craft Masonry. This is a doable approach only if a Grand Lodge and Grand Chapter agreed and if the rules of each allowed something like this. This change could be made more difficult by the existence of the General Grand Chapter but I think they are necessary changes. My intention is to not make the work of the Chapter easy but make it right to encourage the Master Mason to continue his journey. Instead of festivals and high turnover, we need to make the Chapter an important step in a Mason’s life. The Royal Arch degree is just too damn important to let it slip through our fingers. What do you think? Does Royal Arch Masonry need a change? Leave a comment. This will be a short post because I'm on my phone and the keyboard won't turn to landscape. I've been looking at different models for Masonic lodges lately and there seems to be two related goals, more education, less business. I had to ask myself, while thinking about these two concepts, "is there a brother who wants more business and less education?" I've never met one yet many Masonic meetings devolve into the mediocre minutiae of boring business. Why? Is it how meetings are designed? Is it a rut? I don't know but I'm seeing a turnaround. Lodges are unshackling themselves from tedious business. Minutes are distributed instead of read, committees are formed, and their actions approved in one fell swoop, and Masters are cutting off debate. These are great advances. My lodge has the LEO speak before any business is discussed. That way, any of the inside baseball comments about the (insert fundraiser here) will hopefully die as no one wants or remembers to talk about them. Fundraisers are not Masonry, education is. Business isn't evil but it should be handled well and quickly. Masonic meetings are supposed to be an educational experience. That is the way to save Masonry. Which Rite is Right… for me? I’ve been very busy with Masonry and family lately. Being a new father and a Mason is not easy, but I make it work the best I can. About two years ago, I joined my local Royal Arch Chapter. I was the first new candidate in about three years. In keeping with Masonic tradition, I was given a position in leadership, the High Priest. So I jumped a few chairs (as in all of them) but I’ve been kept out of trouble for a while at least. I also joined the local Cryptic Council because they met in the same building. I’ve had fun serving Corinthian Lodge as LEO and Corinthian Chapter as High Priest. For the upcoming year, I’ll again serve as High Priest in addition to serving as Marshal for Corinthian Lodge. I have high hopes for the Royal Arch and the Cryptic Council in Farmington. I’ve even publically struggled over whether to join Commandery. One other development in my life is the encouragement of the brothers to give Scottish Rite a try. I have so many irons in the fire that I sometimes feel I’ll get burned out. I love Masonry and I love being active in all aspects of the Craft. So I’ve been led to a quandary, which rite is for me? I love the Royal Arch degree. I think it is one of the most beautiful things I’ve ever experienced. I think that there is a reason that the Antients believed in it so highly and why the UGLE Constitution still proclaims it, rightly or wrongly, to be a part of Ancient Craft Masonry. Of course, brothers disagree with this assertion with strong evidence of their own. I like the York Rite from what I’ve already experienced. I like the York Rite because there is no pressure to join everything. If you just want to see the Royal Arch and the Mark Master, join Royal Arch Chapter. If you want to see the Council degrees, you have to be a RAM. If you want to be knighted, join the Chapter and the Council. The first two bodies are non-sectarian and in my opinion, at the very least, all Masons should join a Royal Arch Chapter. I’ve posted at least two posts concerning the push by some brothers to make the York Rite one comprehensive system which would make it Christian only. I would disagree with any assertion that one must be a Christian to join a Chapter or Council. The Royal Arch is a completion in the Antients’ system of Ancient Craft Masonry. Restricting that to only Christians is patently wrong. Chapter holds a powerful and important set of degrees that is open to all Masons and should be advertised and celebrated as such. With all that being said, I’m still very interested in the Scottish Rite. The Scottish Rite in Minnesota is very special. We have one of the few Valleys in the world, the Minneapolis Valley, that presents all 29 degrees in full form and Minneapolis Valley performs them twice a year. The other three Scottish Rite Valleys in Minnesota perform a majority of the Scottish Rite degrees, which again, is very uncommon. That’s where I’m at. I’ve decided to really dig into the Scottish Rite Craft degrees. I want to learn the alchemical meaning behind the degrees; I want to study the mystic art that seems to permeate through them. I’ve been told that this is not really necessary and that I should just enjoy the degrees. However, I really feel like I should immerse myself before I take on the extra learning of the “University of Freemasonry.” If this process takes me years, then so be it. I took me 5 years to join the Royal Arch and I really feel like, even with the close relationship between lodge and chapter, I still haven’t skimmed the surface of everything I need to understand to be confident in my knowledge of the capitular degrees. 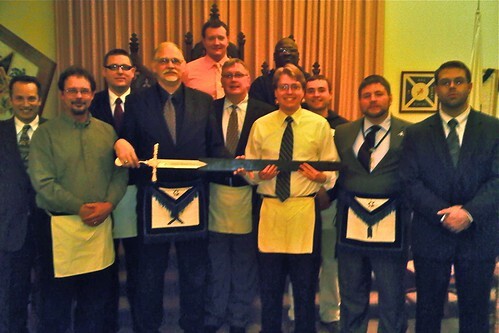 The lodge remains the center of learning. All great things happen within a lodge. 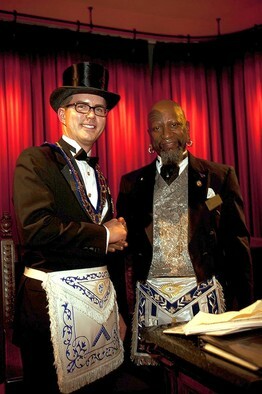 However, the Rites provide that extra basis required to be a well-rounded Masonic student. I think a Mason can remain in Lodge and never have to see them and still be happy and complete. It’s the refining qualities that the rites provide that make them both attractive and useful. To which Rite do you belong? If you don’t belong to a Rite, why not? Leave a comment. At Corinthian 67, our bylaws require that the outgoing Master serve as Lodge Education Officer, and that the outgoing Lodge Education Officer serve as the Marshal. That means, if you are Master of the Lodge, you will serve two more years in some lodge leadership role. We designed our officer succession because we wanted to keep the Master in lodge as long as possible. We want his expertise. As someone who has now been assigned a new role, I have to figure out what the heck I’m supposed to do exactly. I like to do my own thing so I’ve added a bit. Let’s start with the basic framework of a Marshal. It is your duty to form and conduct processions of the Lodge on all public occasions, and to attend to such other interests in the practice of our rites, as the Master shall direct. Okay. So I do some stuff, mostly in public. That's a start but I'm going to need some more information. Let’s go further. 1. Assist the Tyler to open and close the Lodge and to set up the Lodge. 2. Present the Colors of our country. Okay, that helps a little bit more. I’m supposed to be a helper. I like to help but again, I’m not sure what aid, other than setup and cleaning, I’m supposed to provide. I’m writing my own job description for the office of Marshal. Serve as the lodge’s Grand Lodge liaison. At a minimum, he will provide the officers of the Grand Lodge with the calendar of dates and invite them to all important lodge functions. Present the Colors of our country. Inviting distinguished guests from the community to open lodge functions. Asking community officials if they need assistance from the lodge. Planning and leading any community outreach with the assistance of other brothers. I will probably think of some other stuff that the Marshal should do but that’s what I can think of off the top of my head. I hope to serve Corinthian Lodge well and I want to congratulate all the officers as they continue to lead C67 to further glory. What do you think the Marshal should do? Does your state do something differently? Leave a comment below. Lodge as Lab Part 3: Let's travel!!! In my continuing quest to help out Masters and other lodge officers in coming up with great ideas, I will discuss yet another important task that we took at Corinthian Lodge No. 67 during my year as Master. One project that we took upon ourselves was to meet other lodges throughout our area. The reason is that as Master Masons, we are encouraged to travel as much as possible to different lodges. Traveling is an essential part of being a Mason. I was told by my grandpa, who was a railroad man, that during the end of the 19th and the start of the 20th centuries, railroad men would meet brothers whenever the crew would come into town, even if the lodge was not meeting on that day. The tracks were a fraternal lifeline connecting brothers from the beginning of their trip to the end. That's why many lodges were built near a railway station, as a welcoming spot for visiting brethren. During my year in the East, we traveled to many different lodges. We didn't just limit ourselves to only the district but attempted to travel to as many different lodges as we had time for. You see, Minnesota is blessed to have many different types of lodges. We have a Traditional Observance lodge (Saint Paul Three), a British-style Lodge (Sir Winston Churchill Lodge No. 351), and a moon lodge (Accacia Lodge No. 51) just to name a few. Traveling is a right, a couched right to be sure, but a right nonetheless. Traveling gains you new perspectives, new friends, and a new feeling of Masonic spirit. Before I took the East, we, as a lodge, rarely left Farmington. Farmington was home but sometimes, you gotta branch out and experience the wider world. And that's what we did. Traveling has added benefits for a lodge. When you travel to a lodge, you become a representative of your lodge. If you represent your lodge well, you can create a connection, a bond with the lodge you visit. When we traveled to other lodges, invariably, we would get one or two guys to travel back to our lodge. As we traveled and shared ideas, we started something more. Lodges worked together on projects, success stories were shared, and we all became better men. If you're a Masonic officer, plan one trip per month. It really only adds one extra day to your schedule but the payoff is so much bigger than the time you spend traveling. And you know, you've got a dues card, why not use it? Every lodge is special and every lodge has something to offer; you just have to get out there and see the Masonic world around you. Have you traveled lately? Does your lodge have a travel schedule? What are your experiences in traveling as a lodge? Leave a comment. Business Pundit has published a list of 10 inventors that you didn't know were Freemasons. I'm glad to see that Benny is right where he belongs.I was surprised that the inventors of the hot-air balloon, the Montgolfier Brothers, were Freemasons. I will likely be petitioning a commandery near me. Before doing this, however, I’ve been asking around and researching Masonic Templarism. I’ve found some strange points that I need clarifying. In fact, from what I hear from some other Sir Knights, I’ve been made a little more reticent to join than during my initial inkling to petition. I've decided to present my wants and don’t wants in a list. I’m concerned that should I join the Knights, I will be joining an organization that I will demit from immediately. I was really struck by something that Worshipful Brother Ray Hayward wrote in his monthly message for Minnesota. He said that, “[s]peculative Knights Templar are those people who take the moral and spiritual aspect of the historical Templars and apply them to lead a fuller, more meaningful life.” I really hope that this will be my experience. I want to hold my sword before Circe, as Odysseus was instructed to by Hermes, using the lessons of speculative knighthood to be more assertive within my life. In fact, I have used quite a bit of Worshipful Brother Ray’s writings to justify, for the most part, my decision to join a commandery. You can find his papers here. Worshipful Brother Ray is a very wise man and a brilliant teacher of those lessons we find within the York Rite. So that’s where I stand right now. If you can help me out with my quandary, that would be great. Please leave a comment below or send me an email. Today, in the Wall Street Journal, Masons of Minneapolis Lodge No. 19 and Braden Lodge No. 168 were featured on the front page. And they did a great job of representing the future of Masonry. The article features many of my friends and really discusses the Fraternity in glowing fashion. "I wanted to become a better person, I like retro stuff, and I'm a big believer in guys hanging out and talking with other guys." I think sums it up for a lot of Masons. I was fortunate enough to be in the discussion group at Braden described in the article. For me, watching Masonry evolve into a new style, unlike what are grandfathers or great-grandfathers were members of, will be interesting to see. Thank you brothers for allowing me to sit in with all of you. And congrats to WBro. Reed and Bro. Adam of #19 and Bro. Matt of Braden for the great quotes. What a great day for Minnesota Masonry. In support of Masons In Motion and to promote Minnesota Masonry, Sir Winston Churchill Lodge is hosting a Water Station at Mile 20.6 of the Twin Cities Marathon. We are in need of Volunteers. Mile 20.6 is also Mile 4.5 of the Twin Cities 10 Mile race. Volunteers will receive a Free T-shirt. They will get an up-close view of the 10 Mile and Marathon races by providing runners with water and power-aid. 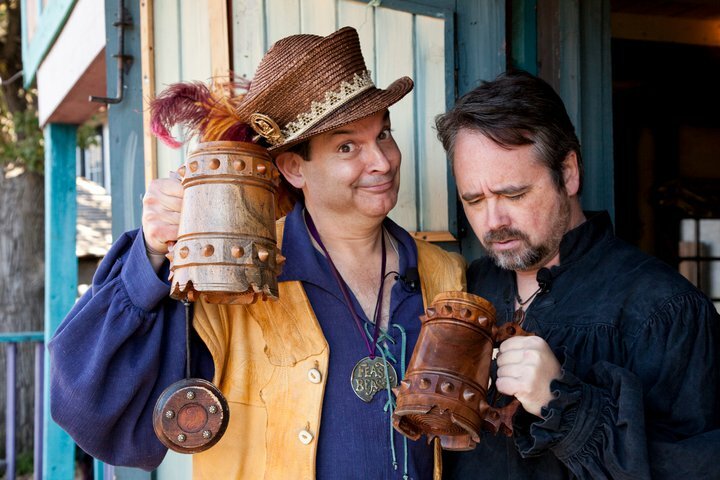 The event will be a lot of fun and camaraderie! Who may volunteer? We are promoting the opportunity to members of the Fraternity and their friends. Responsible Youth (16 and up) may also participate. Commitment: 6:00 AM to 1:15 PM. Location: Mile 20.6 of the Twin Cities Marathon. This is located along the River Road in St. Paul (next to the Mississippi River) at the corner with Marshall (click on link of course Map below). 4) Volunteer Waiver (Reply email stating that you agree to the attached Volunteer Agreement Waiver). 6) Over or under the age of 18.